With St. Patrick’s Day in the rearview mirror, Spring is just around the corner in Northeast Ohio. With Daylight Savings Time stretching sunlight beyond the dinner hour, homeowners are itching to get outdoors to clean up the garage or the yard. The last thing you want is to get bogged down with plumbing repairs. After months of winter freezing and thawing, that outside spigot is a bear to turn on, isn’t it? Too many times it leaks like a sieve. We know, because we get calls like this all the time. 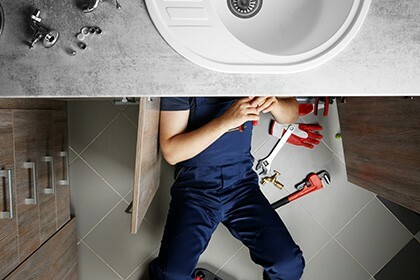 And this is the point of this blog post: rather than waste the better part of a nice Saturday trying to fix something you’re unfamiliar with, why not just call in the professionals from The Plumbing Source! Yes, of course, you can go on YouTube to find some very helpful videos explaining how to change a faucet. And some people can do this with ease. But before you get too excited about tackling the job yourself, take a look inside your toolbox. Do you really have the tools you need to do the job? Notice any plumbing parts in the box? Those are the reminders of failed attempts in the past to fix “an easy” plumbing problem. Smart homeowners know it’s easier and often less expensive to call a plumber to get the job done right. You might have noticed our slogan: “When you call The Plumbing Source, you’ve made the RIGHT call!” Here’s why this is true! First, our work is guaranteed. We guarantee quality service for all of your plumbing needs, even drain cleaning. We’ve collected dozens of testimonials from satisfied customers just like you. When we fix a plumbing problem, you can relax knowing that the job was done right. Second, we use only qualified, highly trained professionals. 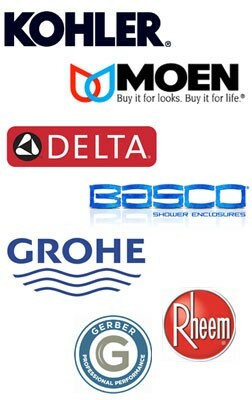 Our 30-plus years of experience making plumbing repairs counts! We’ve seen your problem a hundred times before, and that’s why we are able to get to the problem and solve it faster than you ever could on your own. Think about it: Could a stranger step into your job and do it as well as you do? Of course not. So what makes you think you can tackle a plumbing problem and expect a good outcome without multiple trips to the hardware store, buying tools and parts you’ll never use again? Third, we’ll be there in a jiffy. Our trucks are equipped with a GPS system that we can monitor from our office. With more than a dozen trucks on the road, there’s a good chance we have a technician right around the corner. And if you have an emergency repair, you’ll love our 24-hour hotline where you can talk to a real person live! We’ll dispatch a plumber to your house any time of the day or night. Wouldn’t you rather get back to the outdoor projects you enjoy? We’ll get you back outside in record time. Next time you have a plumbing problem, call The Plumbing Source at 877-768-7239. By the way, our service area is HUGE. We cover all of Cuyahoga County and parts of Lorain, Medina, Portage, Summit, and Geauga counties. So no matter where you are, chances are we have a truck and a plumber nearby ready to be dispatched. That number again is 877-768-7239. Call today!